In the world of online gaming variety is everything. This doesn’t necessarily mean your casino ought to encompass a large library of games but rather a series of options that would cater to a larger number of players. The latter is the advantage Ezugi software offers when compared to its competitors. This online casino software specializes in one thing and that is offering the best possible live casino experience. Live online casinos are quickly becoming the new “best thing” on the market thanks to the improving ways players can interact, play and win while streaming their favorite game on their desktop PC or mobile device. Ezugi software makes the experience more enjoyable by offering a full package of games, excellent service, social features for easier interaction and lucrative ways to keep you coming back for more. Ezugi software was established in 2013 making it one of the newest live casino software solutions to seek critical and player acclaim in such a short period of time. The core package relies on superior HTML5 technology to deliver a smooth and unhindered games’ experience. To keep the action flowing and not let players get bored, Ezugi implements several features like their Widgets platform that offer interesting activities while waiting for a table to clear or the next deal to start. Cross platform is the key phrase that defines Ezugi software – by using the latest in HTML 5 technology, the software can be run on several different platforms without breaking stride in performance or quality. This means your live stream will be equally crisp and authentic on your PC as well as on your mobile device. You will also benefit from the additional options that are part of the software’s UI that enhance the player experience, with more betting options, player history and more available with the push of a button. 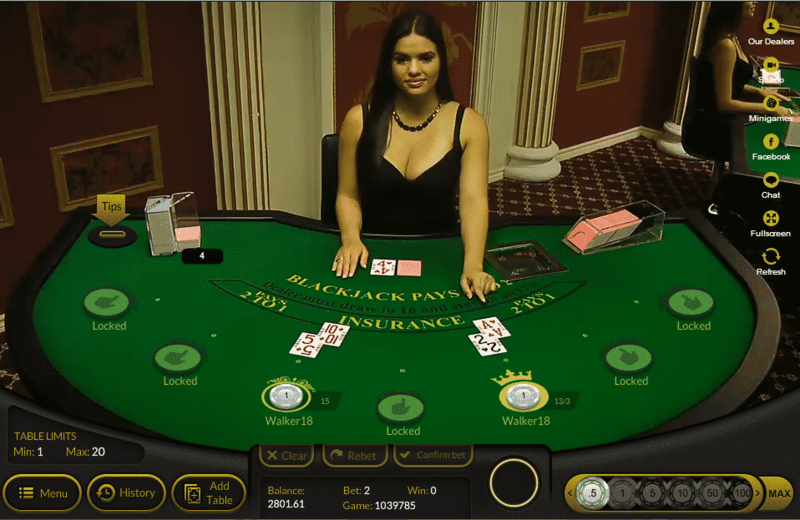 Blackjack – the standard for all online casinos with multi seat (multi player up to 7) option, game history, live chat, social media tools integration and more. Roulette – played with an unlimited number of players, with player history option, side betting, live chat and live support enabled, mini and nano games and more. Baccarat – easy to get into and full of customizable options such as adjustable video and audio controls, classic roadmaps, player engagement, live music on demand and options for customizable chips and limits. Live Lottery – 6 out of 49 balls with configurable lines per operator / jackpot and 3 types of betting as well as live chat, risk management and ton of other excellent options to boot. Hybrid Blackjack – lower than a bet minimum limit and an unlimited number of players 0 this new version of blackjack should appeal to those who seek a greater challenge of their favorite game. Other Games (Live Keno, Caribbean Stud Poker, Double Ball Roulette, Texas Hold’em Bonus Poker, Perfect Pairs and 21 + 3). Thanks to the superior technology of HTML 5 and Flash the cross platform streaming is easily possible with Ezugi software. You can play watch and play all your favorite game via stream on your mobile device (Android and iOS devices such as iPhones and iPads are supported), some in HD and with excellent sound and authentic controls. In order to keep things accessible for players in order for them to assert whether everything is fair, Ezugi software offers full transparency in each live game, with proof lists and player history (as well as game draws and outcomes). The software also employs the latest in SSL encryption so players need not fear for their sensitive information while playing online. 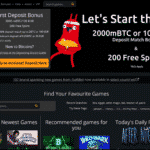 As part of the growing Bitcoin market, Bitstars casino has partnered with Ezugi software in order to bring the best live casino games to its players, with the added option for making deposits and withdrawals by using the popular online cryptocurrency. Using Bitcoins has made it even easier for fans of live casino games to make safe bets on the fly. Players who enjoy the rush of excitement that is a trade mark to live casino games should definitely check out Ezugi software. It is a well rounded software package that contains some truly exciting and rewarding games, with ton of options for customization and betting as well as high end technology for streaming and mobile support.